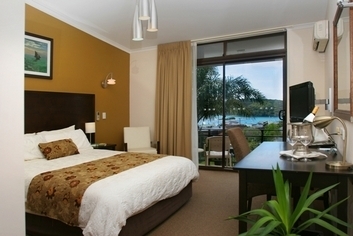 The Whale Motor Inn and Restaurant in Narooma offers luxury 4 star accommodation in the centre of town. 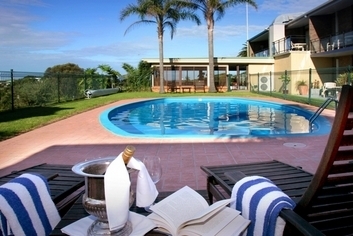 Perched high on the hill, all rooms have their own patio or balcony, most with panoramic coastal and ocean views. Our fully licensed a la carte restaurant offers a delectable menu created by our chef Peter Gallop. 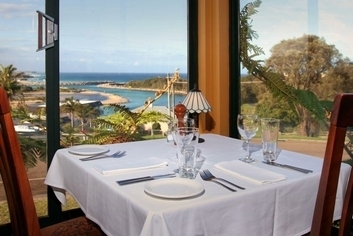 The restaurant also takes in spectacular panoramic views of the coast. 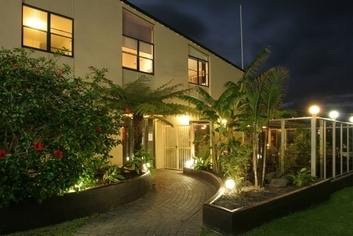 The Whale Motor Inn and Restaurant received the Award of Distinction in the 2006 South Coast Tourism Awards. The Eurobodalla Nature Coast surrounds you in a lifestyle of endless beaches and fishing grounds, challenging forest trails, champion golf courses and of course, Montague Island with its seals, penguins and passing whales. 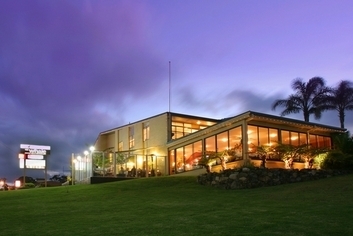 Kick back or indulge, swim, surf, fish, tee-off or simply explore, relax and recharge. 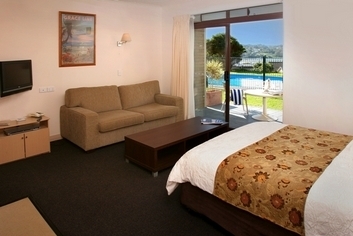 Welcome and enjoy Narooma from the Whale Motor Inn. 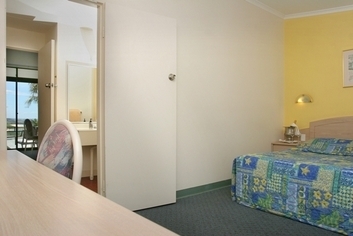 The Whale Motor Inn is the perfect location to hold your next event. Be it a small overnight management retreat, a festive wedding feast, training seminar or exhibition/showing we can tailor a package to suit your needs. With two function rooms and the main restaurant we can cater for up to 70 guests for dinner or 30 for meetings. 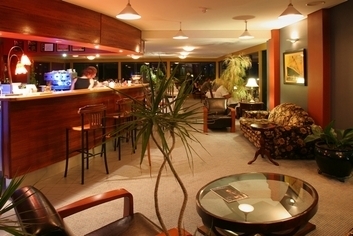 Reception hours are 8am to 10pm 7 days a week. If you will be arriving outside of these hours please call us on +61 2 4476 2411 to make alternative arrangements. Check in time is 1pm onwards and depending on availability earlier arrivals can be accommodated. Off street parking for vehicles and boats are available. 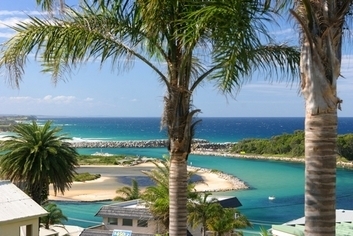 Narooma is located in the Eurobodalla Shire on the Far South Coast of NSW. You can get here by road, air and coach. 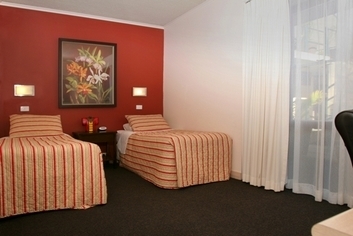 The Whale Motor Inn and Restaurant is located at 104 Wagonga St ( Princes Hwy), Narooma. From Melbourne it is 706km, Sydney 353km and Canberra 218km, a quick trip or a day at the office, only much nicer. By Road - Drive yourself along our beautiful scenic roads. South from Sydney and Canberra or up the coast from Victoria. By Air - Rex Airlines has a daily service to Moruya. 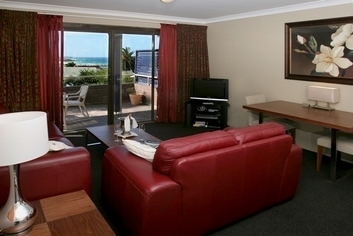 You can then take a Hertz hire a car which is a short drive to Narooma. By Coach - Express Coaches daily North and South. Narooma is known for its natural pristine beauty and is one of the most un-spoilt and picturesque seaside towns on the east coast of Australia, and the world for that matter . The surrounding area has beautiful sandy beaches, rivers, lakes, rugged escarpments, and national parks. Mountains on the one side and the Pacific Ocean and Montague Island or Barunguba (aboriginal name) on the other you will be amazed. The area is known for being relaxed and laid back and has not succumbed to the excesses of coastal development. Narooma boasts a variety of surf beaches, a spectacular golf course, whale watching (September November), recreational fishing, sightseeing, scenic drives, boat charters, fantastic bushwalks and valley rainforests. A special treat is to take a stroll in the nearby tiny National Trust village of Central Tilba or on the Mill Bay boardwalk which takes you out over the water so you can fully absorb this wonderful seaside town. Narooma used to be known as Noorooma, the Aboriginal name for clear blue water. The Narooma port was originally used for gold and timber export. Seamen and steamers braved the hazardous Narooma bar crossing with their cargos. The surrounding areas were also known for cheese and dairy cattle. Todays industries also include tourism, oyster farming and fishing. 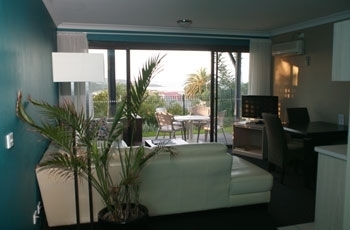 Capturing the panoramic views from most rooms and the restaurant, the Whale Motor Inn captures the beauty of this special coastal village with its magnificent inlet and rugged ocean coastline.